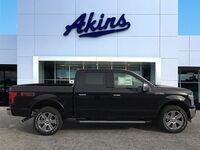 Whenever a new Ford F-150 lineup hits our lot here at Akins Ford near Atlanta, GA, everyone immediately wants to know how it stacks up against its toughest competition – namely, the new Chevy Silverado 1500 lineup and the new Ram 1500 lineup. But since both of those lineups have continued to lag behind the new F-150 lineup, we think it might be time to start looking elsewhere to see if there’s a worthy contender for the Ford F-150’s crown. In this case, we’re going to see if Toyota’s latest full-size pickup truck is up to the task. Toyota trucks are usually nothing but an afterthought when compared to Ford, Ram, and Chevy, but maybe that’s all changed with the new Toyota Tundra. Whatever the case may be, we’re going to find out right here with this 2019 Ford F-150 versus 2019 Toyota Tundra head-to-head comparison. 290 HP & 265 lb-ft. Standard Power Ratings 310 HP & 327 lb-ft.
450 HP and 510 lb-ft. Max Available Power Ratings 381 HP & 401 lb-ft.
3270 lbs. Max Hauling Capability 1730 lbs. 13200 lbs. Max Towing Capability 10200 lbs. 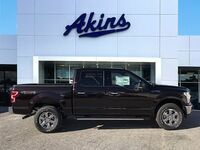 The competition usually doesn’t get a chance to enjoy even the smallest victory over the new Ford F-150 lineup when we do these comparisons, but the 2019 Toyota Tundra does hold one small – you might even call it insignificant – advantage over the 2019 Ford F-150 lineup. That’s because the 2019 Tundra lineup features slightly more standard power than the 2019 F-150 lineup. It should be noted, however, that the standard engine of the 2019 Tundra lineup is one of only two engine choices – and the available engine for the lineup isn’t all that much more powerful than the standard engine. 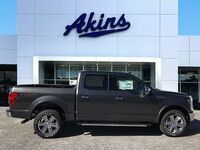 The 2019 F-150 lineup, on the other hand, features a total of six engines to choose from, each of which more powerful and more capable than the last – topping out with a horsepower rating of 450 and a torque rating of 510 pound-feet. 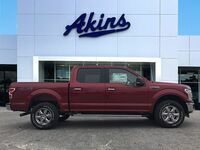 The 2019 F-150 lineup then continues its dominance over its competition by offering the ability to tow up to 3,000 pounds more than the 2019 Tundra lineup, while also being able to haul up to 1,540 pounds more than the new Tundra. 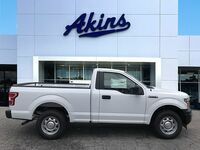 For more on the 2019 Ford F-150 lineup, please reach out to our staff here at Akins Ford near Atlanta, GA. 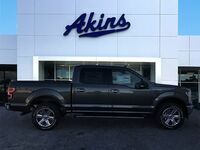 Interested in a Ford F-150?